The San Jose Blog: Strike Brewing Co. Building a Permanent Home Right Here in San Jose! 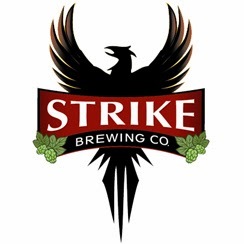 Strike Brewing Co. Building a Permanent Home Right Here in San Jose! It has been two years since San Jose's own Strike Brewing Co. launched. They are well known for their IPAs, Reds, and seasonal beers (the Stout is my favorite). While looking for a home, they have been using Hermitage's brewing facilities which is also located in San Jose (7th Street). They could have moved anywhere in Silicon Valley, but they decided to keep their permanent brewery right here in San Jose. You'll be able to visit them at 2099 S. 10th Street after they are fully up and running in March of this year. It sounds like they will have a tasting/tap room, so we have yet another craft beer destination to look forward to! That being said, I agree with Anthony. SJ needs more breweries and we gotta start somewhere.